The grain ingredient is 100% corn, while most other Irish whiskies are blends made up of malted and un-malted barley with a touch of grain neutral spirits for good measure. 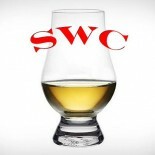 Of course, we also see single malts as well. Corn is known as a good flavor additive in mash bills, but never alone, at least in most whiskies. This recipe is aged in already filled bourbon barrels, so one doesn’t expect a huge oak influence either. Nose– Buttery, corn sweetness. Light and gentle. Floral and candied toffee. Palate– Sweet and almost syrupy. Dessert drink. Honey and toffee. Creamy. Finish– Candy corn and vanilla bean. Medium and steady. Comment– This is Irish? Pleasantly surprised for a simple grain whiskey and only 8 years old. Plenty of sweetness to go around, very nice stuff.